The Lagos State Government has provided helplines – 09090146682 and 08100033199 – through which residents can call to report incidences of damaged, defective or vandalized streetlight poles, transformers and other electrical installations and equipment managed by the Lagos State Electricity Board to ensure prompt and effective rectification of faults. The General Manager, Lagos State Electricity Board, Engr. Ibilola Kasunmu who made this known in her office today while reviewing report of the Light-up Lagos project noted that the helplines will avail government the opportunity to have firsthand feedback from the public on the state of its electrical installations and equipment across Lagos State with a view to replacing defective ones. Kasunmu stated that the Electricity Board had earlier put in place a monitoring mechanism which involves its officials going round to identify and rectify damaged and vandalized installations, adding that the helplines will aid the organisation in discharging its duties of illuminating and maintaining electrical infrastructure across Lagos State. The General Manager warned people caught indulging in theft and vandalism of electrical installations and equipment for selfish gains will be made to face the full wrath of the law. Kasunmu explained the Light-up Lagos project is conceived to light up major highways and streets in the Lagos metropolis with the ultimate goal of boosting commercial activities, enhancing security, improving the citizenry’s standard of living as well as boost the aesthetics of the State. She added that the initiative is in line with the State’s commitment to building a 24/7 economy that will create employment and wealth for the people, stressing that the project is also part of the State’s security strategy to make Lagos competitive, safe and secure. 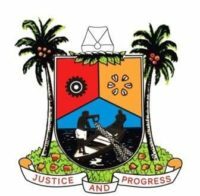 “The Lagos State Electricity Board has a core mandate of illuminating streets, major roads and highways through its Light-Up Lagos project. Other major components of this project are Community Electrification and Embedded Power (IPP); these interventions have led to the enhancement of security, economics and social interaction in the State. It is with a view to consolidating these gains that we are providing the helplines”, Kasunmu said.